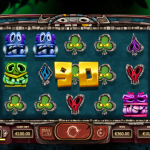 At first look we could not distinguish the theme of the latest video slot game from Yggdrasil, Big Blox. But as soon as we started playing the plot started unveiling and it was all clear. We were transferred to an unnamed Pacific Island where everything is colossal, starting from the symbols and ending with the wins. 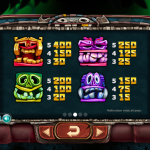 The game is beautifully designed in an exotic tribal style. The sound effects perfectly complement the game and bring it to life. There is not much going on in Big Blox when it comes to the special feature department. We have a wild symbol that has a traditional function to stand in for every other symbol to complete a winning line. The wild appears on the second, third, fourth and fifth reel only. There is only one special feature the Big Block Feature and it is actually what this game revolves around. With every symbol you will receive one colossal symbol that can take between 2×2 and 5×3 spaces. This symbol can even pay itself or it can combine with other matching symbols. Another thing that can help you out is that the colossal symbol can be wild too. Big Blox is an interesting video slot game. We really liked what Yggdrasil did when it comes to the design of the game. it is unique and fun to watch those huge symbols landing on the reels. The game play is straightforward and action packed. The only thing that we are missing here is one or two special features, or at least the free spins round. But anyhow, the game is still worth the try since it turns out to be quite profitable, and it can be that way for you too, if you are lucky of course. 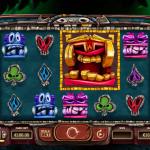 For another great engaging slot you should consider playing Bicicleta a 5 reel slot by Yggdrasil.